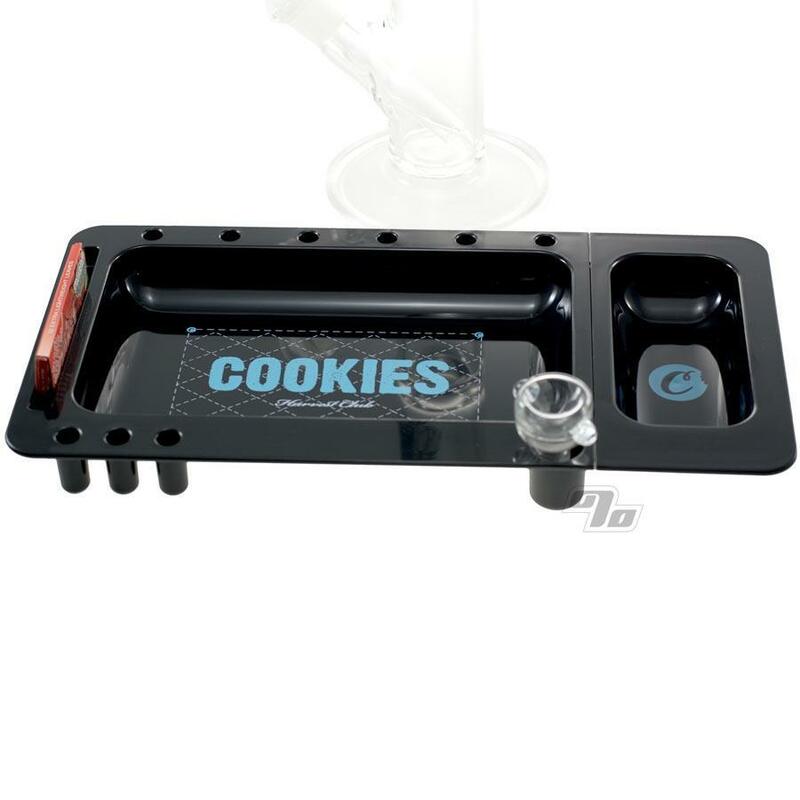 The Cookies Rolling Tray 2.0 is a multifunctional rolling/smoking/dabbing tray. Complete with a removable, smaller tray, this accessory from Goodlife SF is a must to make rolling at home or on the go easier. Use the larger section of the tray to roll your smokes like normal, while the smaller tray can slide out so you can use it as a mini travel tray or even as an ashtray. Small holders run along the top and bottom edge of the tray are there to hold anything from your pre-rolled cones, hand-rolled smokes and even dab tools. A larger holder at the bottom is perfect for either a Clipper lighter or even up to an 18mm flower bowl. Slit on the left side holds up to a King Size pack of your favorite Rolling Papers. A place for everything! Of course, these rolling trays make working with all sorts of rolling papers and cones easier including the ever popular Raw Cones. 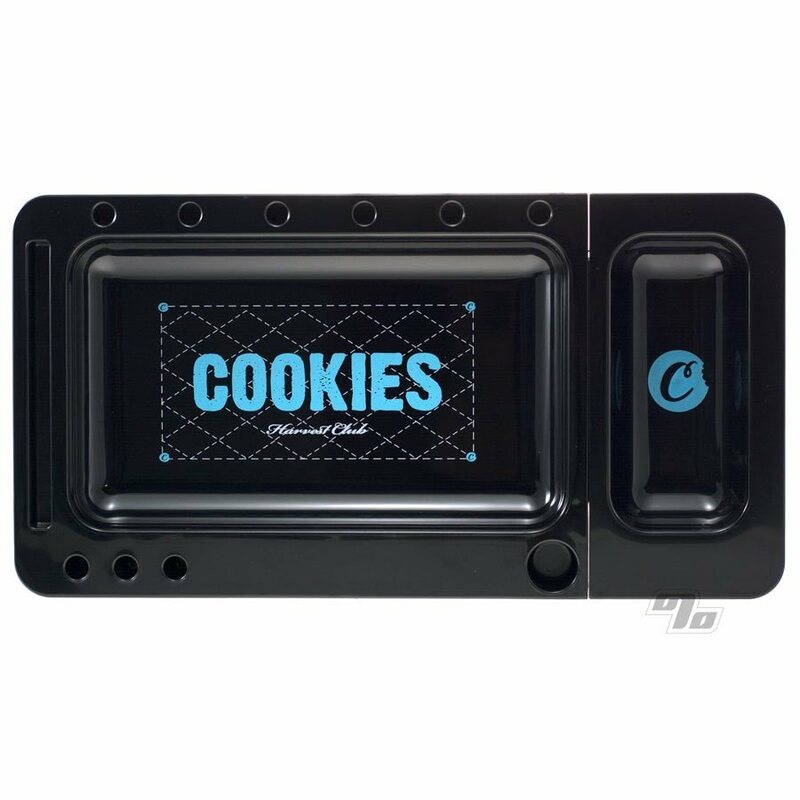 Fully assembled, the Cookies Rolling Tray comes in at 12" x 6 1/4" while the detachable mini rolling tray measures 3 1/8" x 6 1/4" on it's own. I love it! We use it everyday. One of our favorites from 1perfect. Great size for rolling. Love black and blue colors.